Following his sensational bowling performance in the ongoing fourth Test between Australia and India in Sydney, young chinaman Kuldeep Yadav has received enormous from former leg-spinning great Shane Warne. Kuldeep, playing in his maiden Test Down Under, grabbed a fifer to help India bowl out Aussies for 300 in their first innings. His brilliant display meant the visitors took forward a 322-run first innings lead, and enforced follow-on. 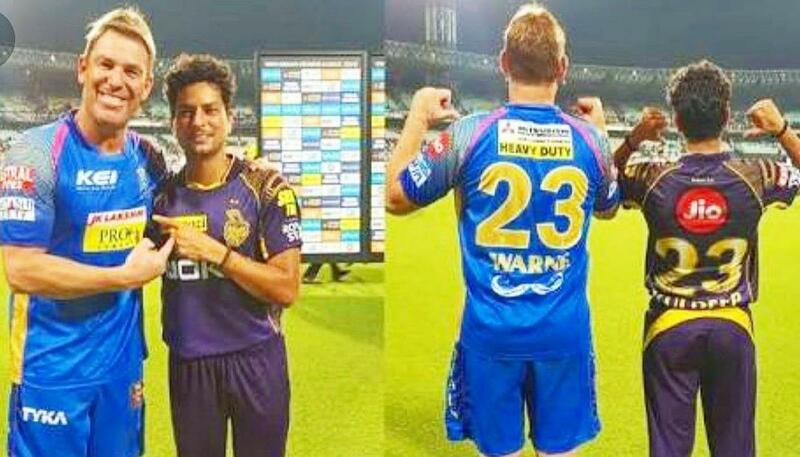 And Warne has appreciated the display by Kuldeep with a heartwarming message on social media. Taking to Twitter, the former Aussie legend wrote, "Well bowled & congrats on your 5 wicket haul @imkuldeep18 also, thankyou for your very kind words - it’s been a pleasure to work with you & watch you bowl my friend !" Kuldeep began his wicket-taking spree with the dismissal of a well-set Usman Khawaja, which in turn started the downfall of the hosts. Buoyed by his very first wicket in Australia, the chinaman only got better from that position, and ended up taking wickets of Travis Head, Tim Paine, Nathan Lyon and Josh Hazlewood on his way to a fifer. His marvelous display with the ball meant Kuldeep became just the first Indian to take a fifer in all the formats outside Asia. Further, his fifer put India in a commanding position, as they chase history and claim a maiden Test series win in Australia. Virender Sehwag slams Indian textbook, calls it "crap"